Chaste Berry has been in use for centuries for balancing and regulating the hormonal system. It gently, but effectively, supports the normal functioning of the pituitary gland, correcting hormonal disturbances. 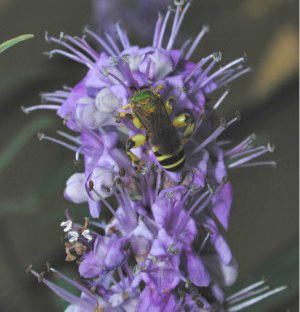 Chaste Berry – or Vitex Agnus Castus – has been in use for centuries for balancing and regulating the hormonal system. It gently, but effectively, supports the normal functioning of the pituitary gland, correcting hormonal disturbances. Supporting the progesterone level is extremely helpful in counteracting the irritability and unpredictability that can happen with mares “in season”, making them more comfortable, cooperative and safer to handle. Agnus Castus can also be used for overly aggressive stallions and geldings. Agnus castus may benefit your mare if she is experiencing mood changes, anxiety, nervous tension, and physical discomfort related to oestrous cycle. Use this herb to regulate and balance female hormonal cycles; to support fertility and as a long-term care for the prevention/treatment of non-cancerous cysts and tumors such as those associated with Cushings Syndrome.